When you have a serious project that needs to be done, look no further than Ballassi Speakers, a family owned company in custom, hand made speaker craftsmanship. We innovate. We deliver. We forge sound with character. All engineering, enclosures, assembly, finishing, and testing is done in the USA. We do select certain components from around the world so we can offer the absolute highest quality sound. our solid base of knowledge , to create the system that you are looking for. Excellent quality control is in place to ensure all jobs are done to your complete satisfaction. We are fully insured and our work carries a 7 years warranty. There are leaders, and then there's everyone else. At Ballassi Speakers, we take immense pride in our work, focusing on design, sound quality, and most of all the customer. No one ever complained about hiring the best. Our standards are high. So high in fact, we become synonymous with the best quality craftsmanship. 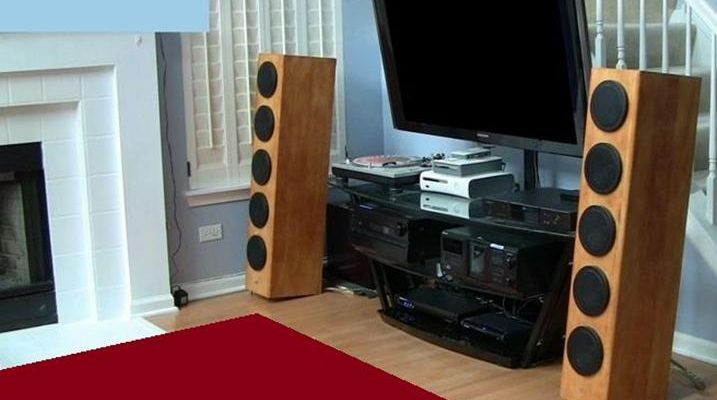 No one ever complained about having their speakers executed perfectly. When you're dealing with 19,980 audible frequencies, your speakers can be the difference between something, and everything. No one ever complained about listening to perfect sound. It's old fashioned now, but we do what we say we're going to do. Plain and simple. Our word is bond, and that applies to our deadlines, as well. No one ever complained that we had too much integrity.